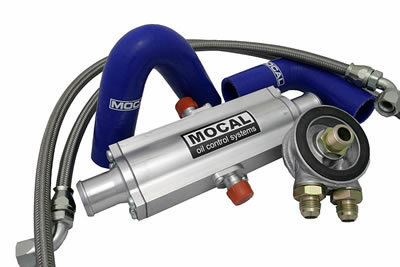 This water to oil cooler kit gives you control over the oil temperature in the engine of your Elise or Exige. Extensive oil temperatures are one of the major problems with the K-engine. In the standard configuration engine oil is beeing cooled by the flow of coolant through the head. The bottom end of the engine needs to be cooled from the head down. Driving the Elise ín anger' will result in a very high oil temperature, breaking oil seals and engine damage as the ultimate result. This improved kit contains oil pipes which can withstand temperatures up to 360°C. The silicone water pipes are in the correct angle and supplied with stainless clips. The installation of this kit can be realised in a couple of hours. The kit comes including all needed clips.